What do you know about avocado stones? 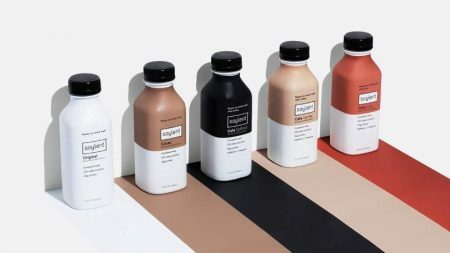 Creams and masks are made from them; they are composted, added to salads. However, a creative girl named Jen Campbell found their application in the field of art. Everything the most interesting, as you know, happens suddenly. 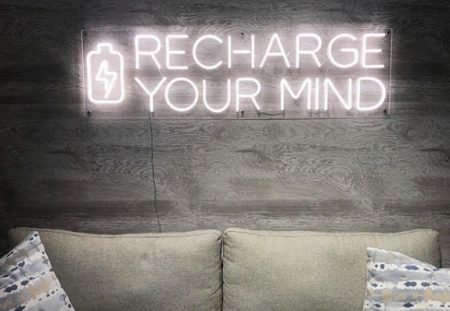 The same happened with Jen Campbell, who during the dinner with an avocado sandwich hit upon the idea that it would be nice to find an application for a fruit stone. For several days, while the girl was thinking, the stone was in the pocket of her jacket. Having randomly made a couple of scratches on the stone with a sharp object, Jen decided to try to cut out a figure on it. She succeeded, and the resulting masterpiece, after being frozen, became like wood. And then, the girl decided to thoroughly engage in this craft. Thanks to her efforts, to date, such an occupation has pride of place in the field of applied art. 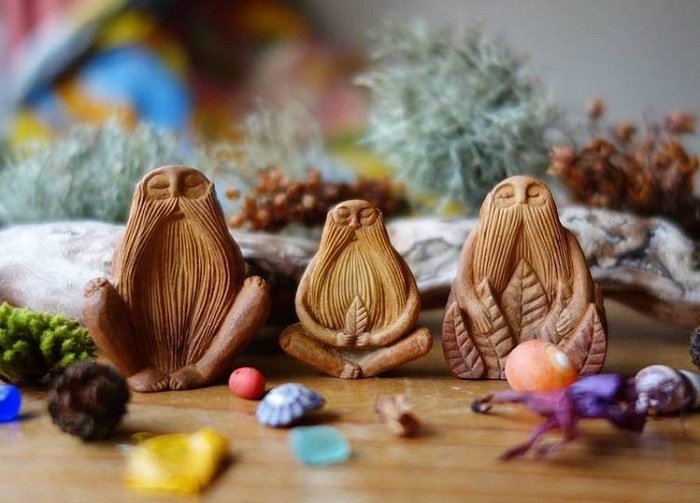 Now her collection has thousands of copies: totems, figures of Celtic folklore characters, miniatures of forest spirits. 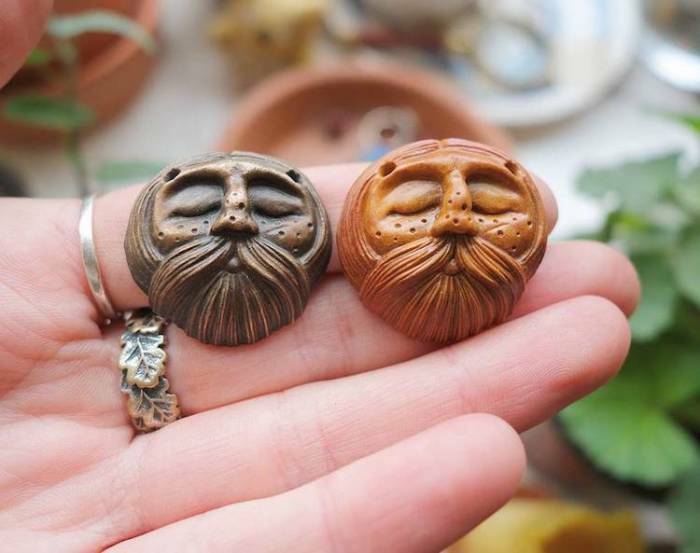 Crafts are made out as souvenirs that can be put on the shelf, and unusual jewellery – for example, pendant. She sells her products in online stores. According to Jen, the key to her success were diligence and scrupulous attention to the elaboration of small details. 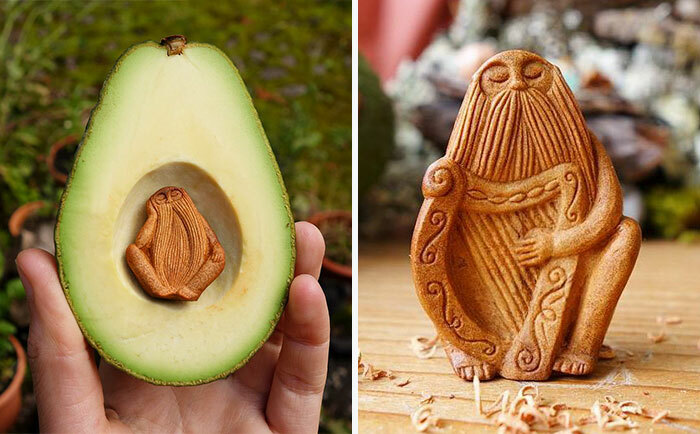 But masterpieces of art can not only be created on the inside of an avocado. 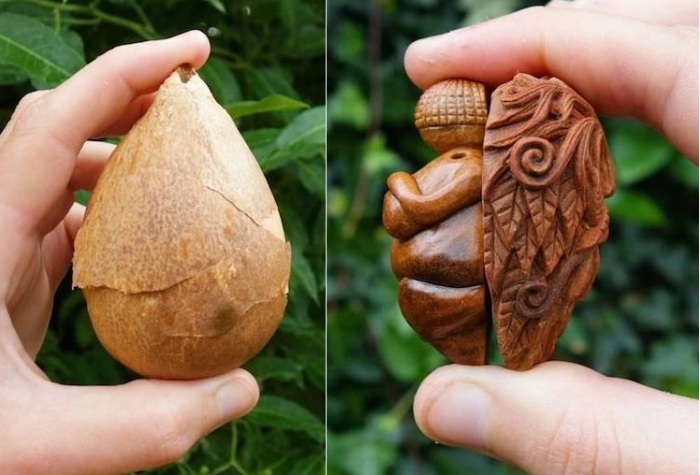 For example, Daniele Barresi successfully carves beautiful figures on the pulp of fruit. It turns out beautiful and unusual. 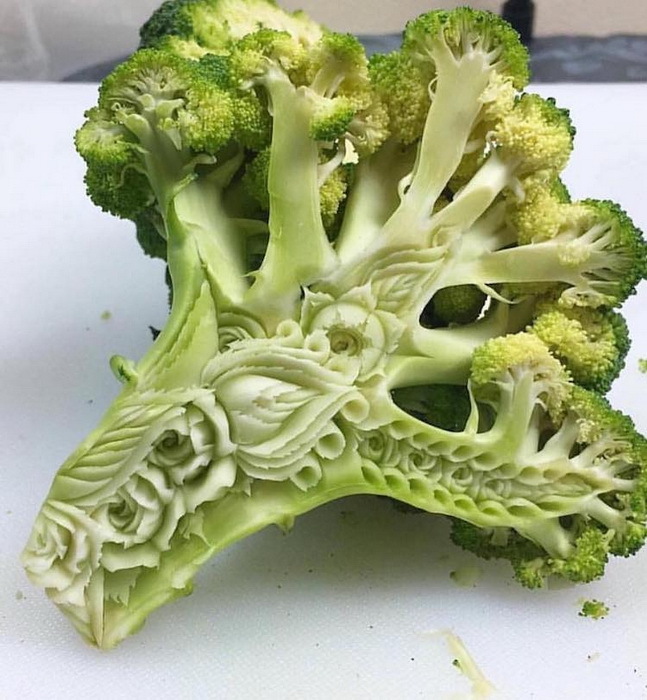 A kind of carving, which seems to be more like magic if you look at the photo. When I touch the knife, my mind sends an impulse to the heart, and then it is passed on to the hands, which already give the products a different shape, and decorate them. It’s like magic, “- Daniele Barresi describes his creative process in this way. 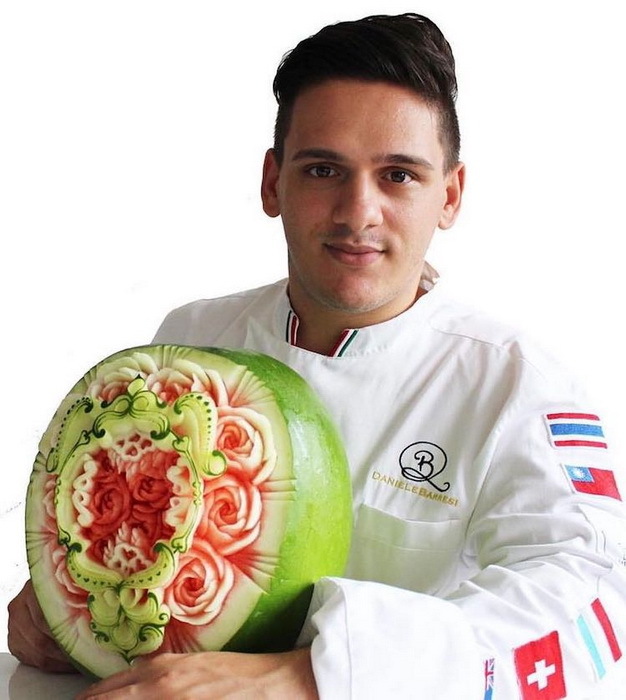 By the way, Daniele refers him to masters of fruit-vegetable and cheese carving. The guy grew up in Italy, but now lives and works in Sydney (Australia). 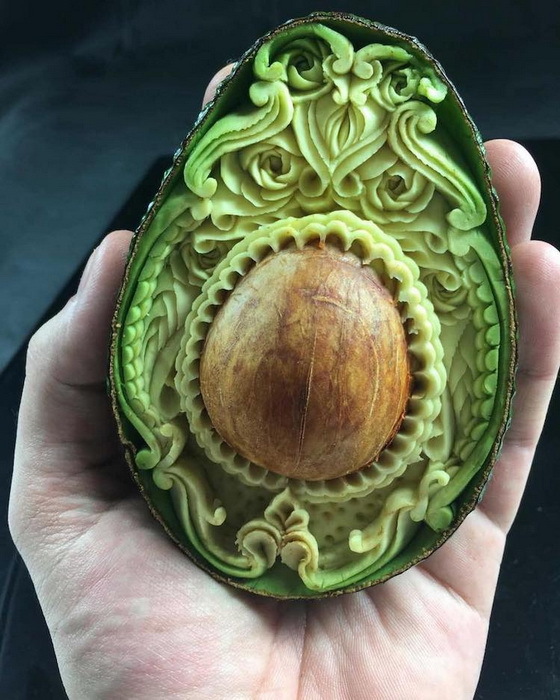 In addition to fruit and vegetables, Daniele also engages in artistic carving on soap and other materials. 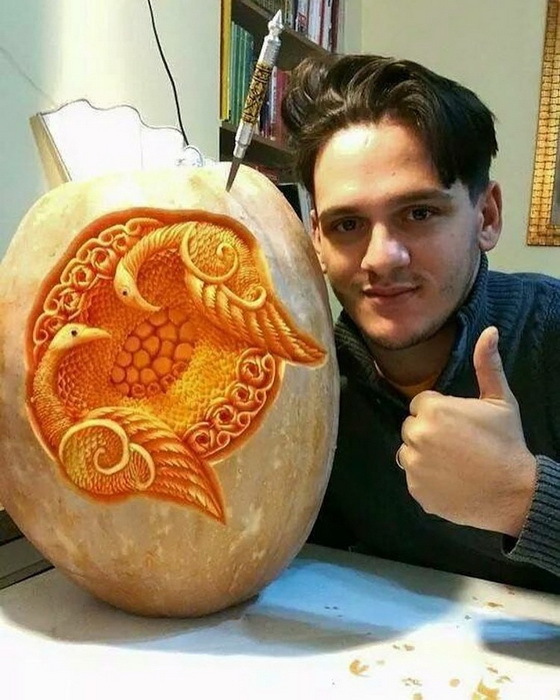 His cherished dream is to create his own TV show on carving in order to share the secrets of skill with people, train people and popularize this kind of creativity all over the world. Unlike Jen’s work, Daniel’s work is edible. But hardly anyone will want to put fascinating beautiful patterned fruits on a plate. Rather, their place is on the shelves of art galleries and exhibitions. Posted in Art, Ecology. Bookmark the permalink.